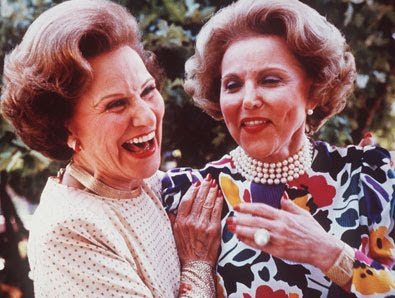 Did you know Dear Abby and Ann Landers were twins? 'Tis true. I wanted to get to a comment left by my white friend Steven, in my post asking for questions. He wasn't asking for advice, which makes the title of the post somewhat irrelevant--but let's just go with it. i don't know how it's done now, but when i taught at overland high school, we had "equity" meetings in which we were supposed to talk about the achievement gap between different races. but one of the "agreements" that were thrust upon us on these meeting was that we would focus solely on race. other factors like gender, socio-economic background, etc, could not be brought into the discussion. i found it incredibly narrow and meaningless to isolate race. what do you think, my black friend? Yes Steven, I also think is incredibly narrow and meaningless to isolate race in the situation that you described. What do you think that was about? Whose idea was it? What were the perceived advantages of doing it this way? One thing that came into my head as I read that: do y'all know how the whole concept of "white" came about? Like, "a white person"? Let me give you a brief, fairly accurate rundown. During the beginnings of this country you had white people who were here who worked as indentured servants, one step up from slaves. At some point (I'm not sure if it was around the time of the Revolutionary War or right after the Civil War,) these poor white people started aligning themselves with poor black people. After the Civil War when black people were freed, white people invented the minstrel show (you know, where white people paint their faces black and "act black"?) While these shows provided hours of entertainment for their white audiences, they served another very important purpose. By supposedly showing these audiences how black people acted, they were reinforcing the ideas about how white people were supposed to act. Teaching these people what it meant to be white. Like, did you know back in the day if a white person did something nice for another white person, the first white person would say, "Thank you, that's mighty white of you." (I'm guessing that some white people still say this, but I choose to live in ignorant bliss.) I can't think of a much more obvious example of the idea that white = everything great than this one. And let's not forget what happens to you when you fail to live up to this ideal. Ok, but what does all this have to do with Steven's comment? I'm guessing if the school staff and administration started looking at some other factors in these equity meetings (particularly socioeconomic status) they'd find some very interesting correlations. Like, why are a disproportionate number of the broke students not getting good grades? And why are a disproportionate number of the broke students black and brown? These are just guesses, since I wasn't sitting in on the meetings. But by keeping the focus solely on race, they can't really do much else than attribute the lackluster performance to the students' race--which just serves to reinforce the white/good black/bad setup. I'm curious to hear what you think, readers. Leave me a comment. wow, i'm honored. to be honest, i don't remember the rationale behind isolating race -- i think they felt that including other factors would 'dilute' the importance of racial identity on a student's achievement. also, i just wanted to add, i've actually heard people use the phrase, "that's mighty white of you," but always in an ironic, what-you-just-did-was-crappy kind of way. i love when words and phrases are reappropriated in these ways. Interesting. My dad has used "that's mighty white of you," but it was always intended in quite the opposite way as how you've said it is used--sarcastic and to point out the flaws in a supposedly "good" thing or in something that wasn't even intended to be good. I've never heard anyone else use that phrase, and didn't know what the original intention of it was. What do you think of the book "Why Are All The Black Kids Sitting Together in the Cafeteria"
I have heard about that book a lot and actually have it sitting on my bookshelf upstairs, but haven't read it. I started, but lost interest when the author started defining terms near the beginning. What would you say are the main ideas of the book? What did you think of it after you read it? You are excluded from chicken cutlet night.